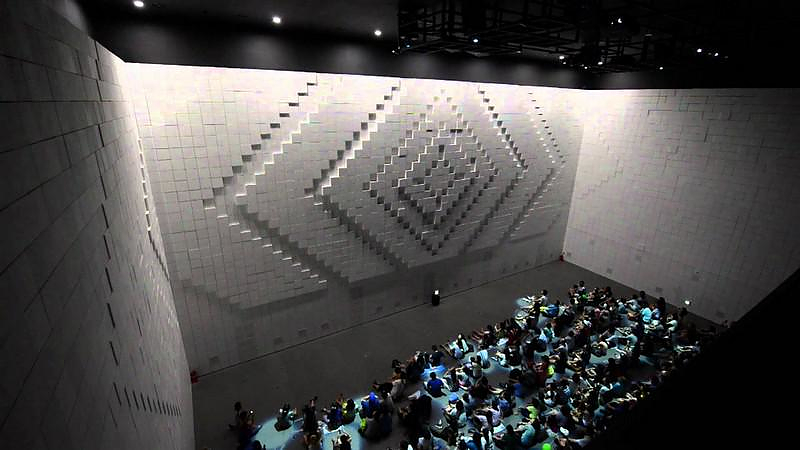 Hyper Matrix - an amazing kinetic landscapes media art installation. 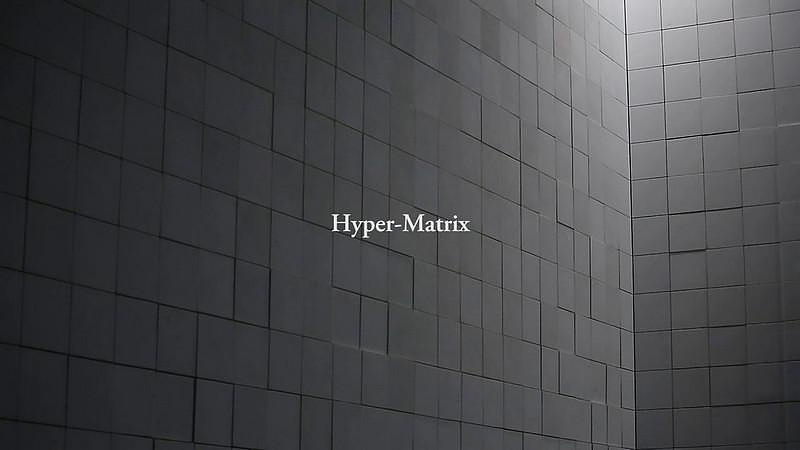 HomeBlogArtHyper Matrix, an amazing kinetic landscapes media art installation. 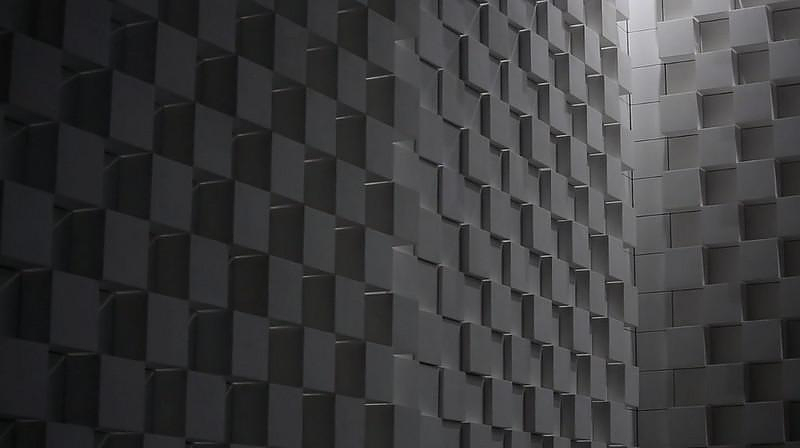 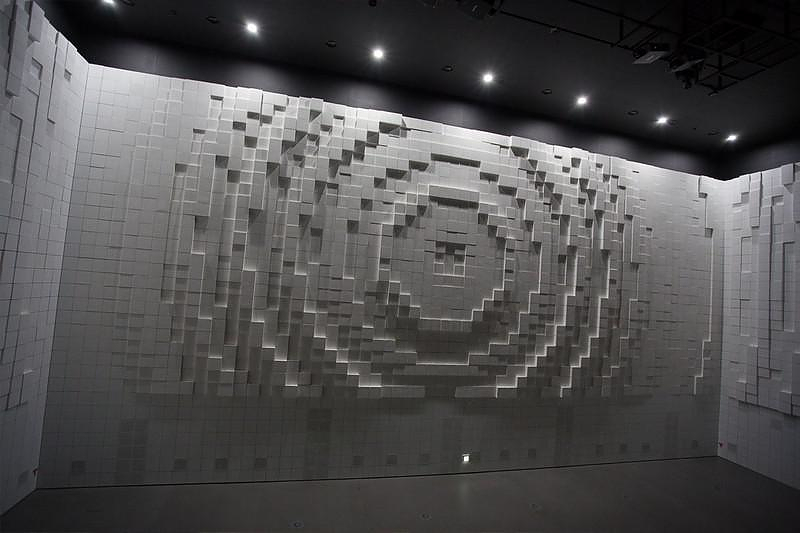 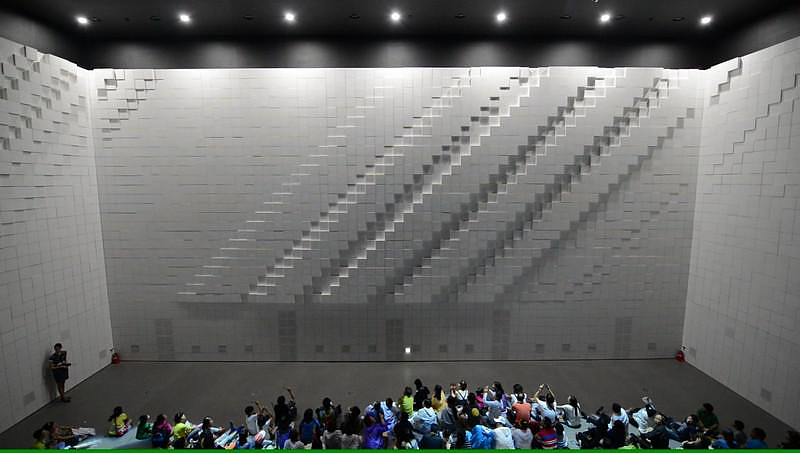 Seoul-based media artist group Jonpasang presents the Hyper Matrix a kinetic vertical landscape installation made of thousands of moving 32x32cm cubes, which make up the internal facade of the building. 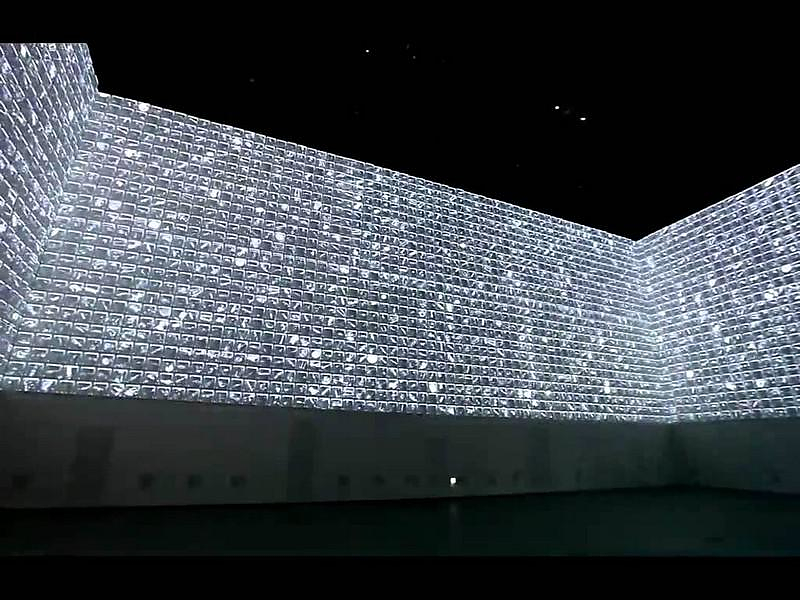 We are well aware of that we are able to turn most analog things to digital by breaking them into tiny bits of information and pixels. 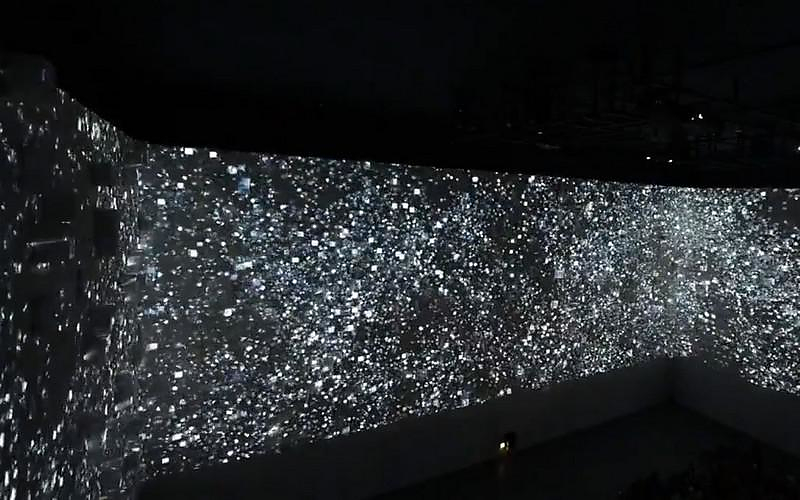 Reality gets translated and divided into small pixels on the surface of your computer screen, your TV set, or your mobile phone. 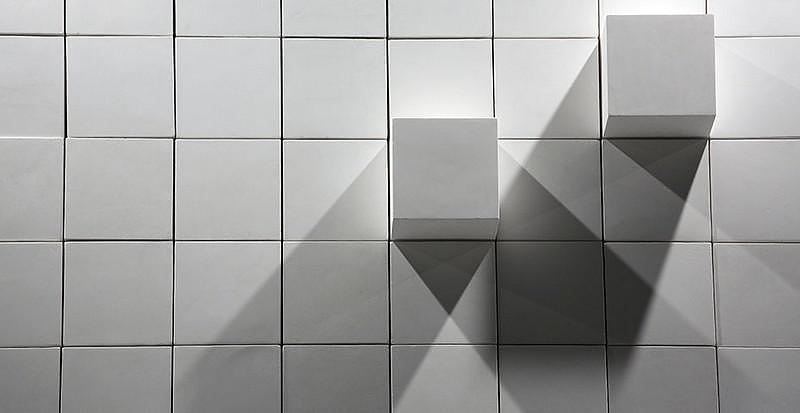 Is it possible to do the opposite? 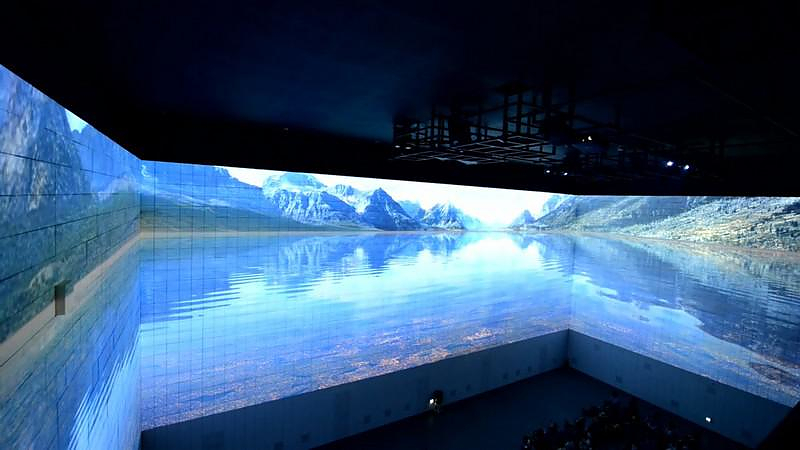 To present a digital pixel as something apt and analog? 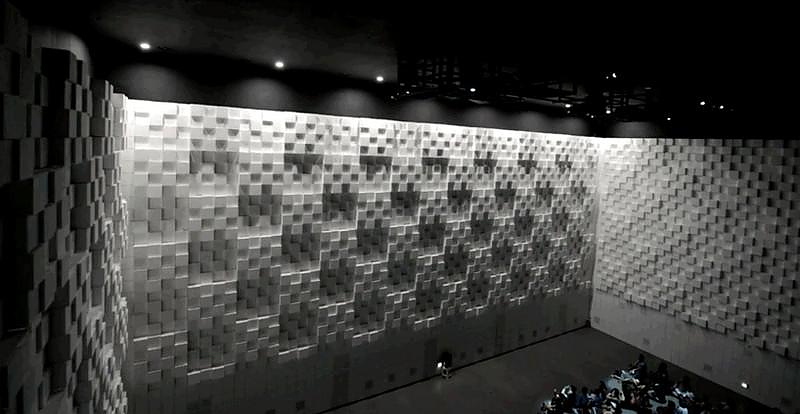 The Hyper Matrix media art installation was created by media artist group Jonpasang and represents an attempt to address exactly this question. 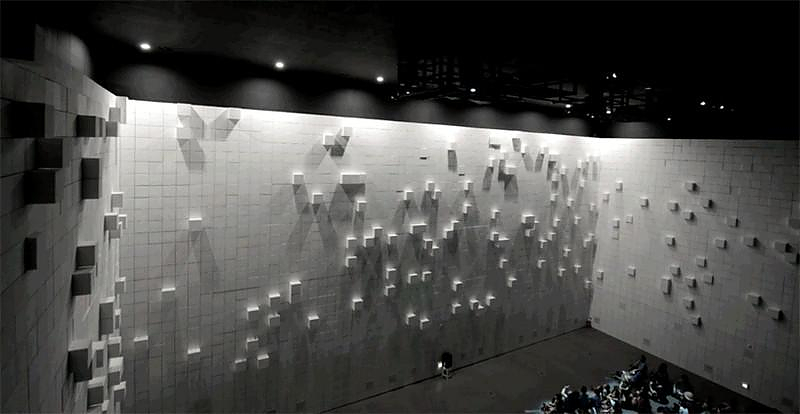 A collection of lightweight moving blocks extrude through the face of the structure, creating a virtually infinite series of configurations. 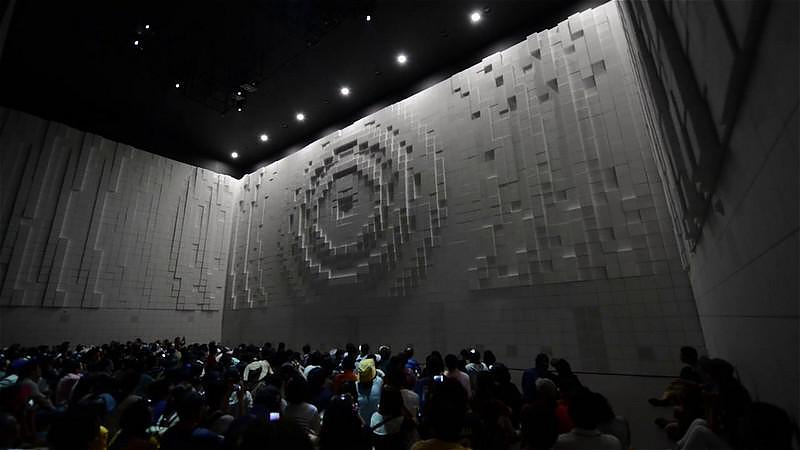 As the pixels sweep through the room, sounds evoke a grand sense of interaction between the audience and surrounding space. 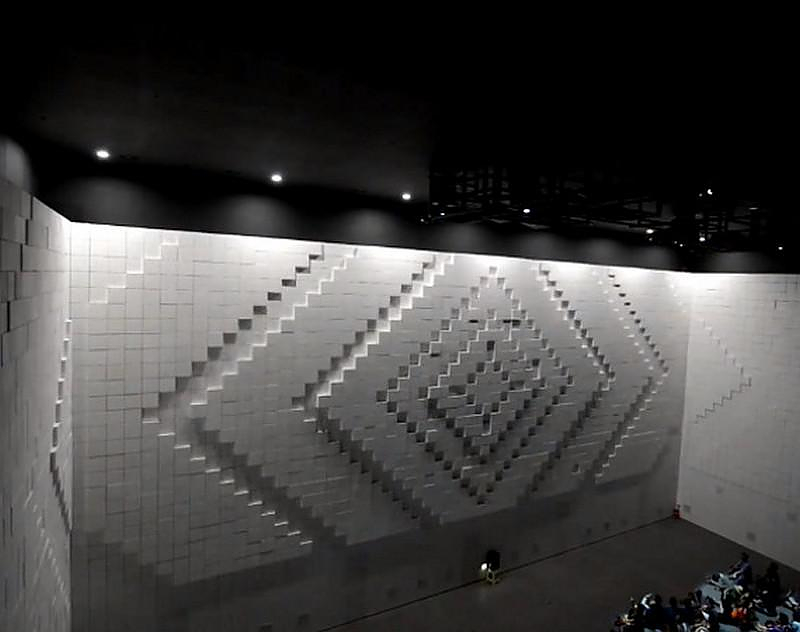 As wave patterns ripple across the interior environment, additional digital mapping effects cover the surface to visually enhance the dimensionality of the performance. 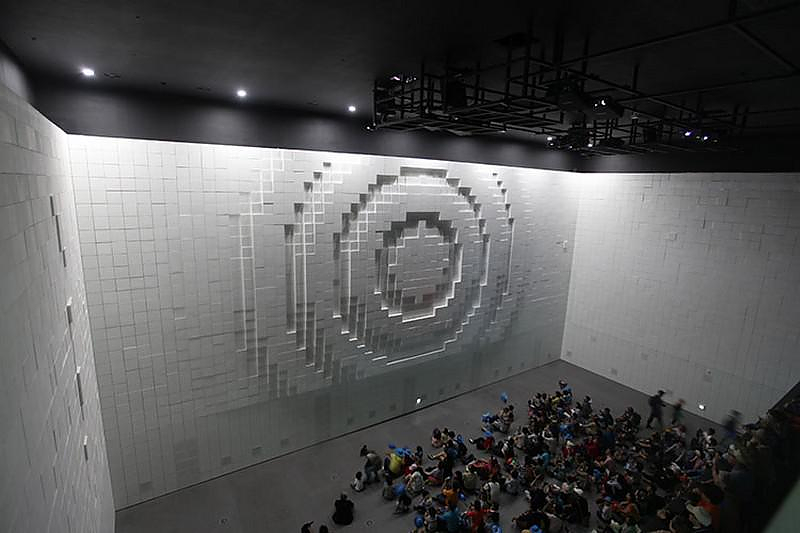 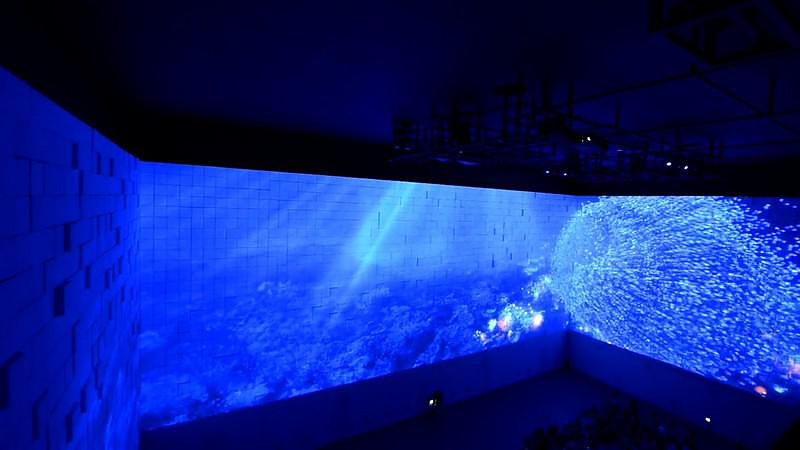 The Hyper Matrix media art installation was presented at Yeosu EXPO site in 2012 that takes place in Seoul, Korea. 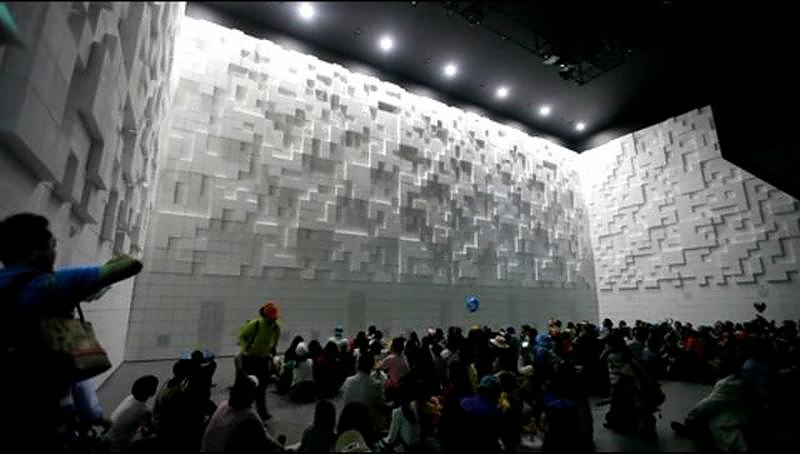 Hyper Matrix actually was Hyundai’s Motor Group expedition pavilion on site. 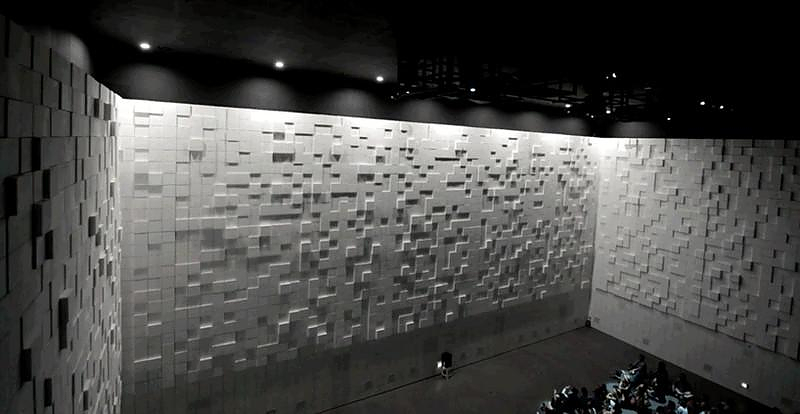 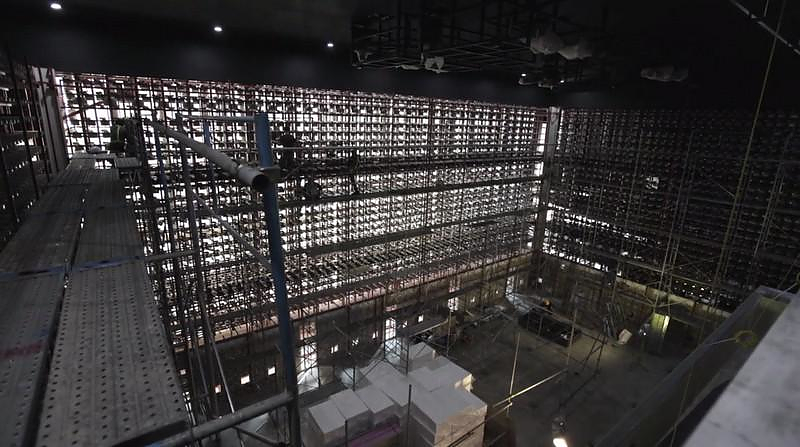 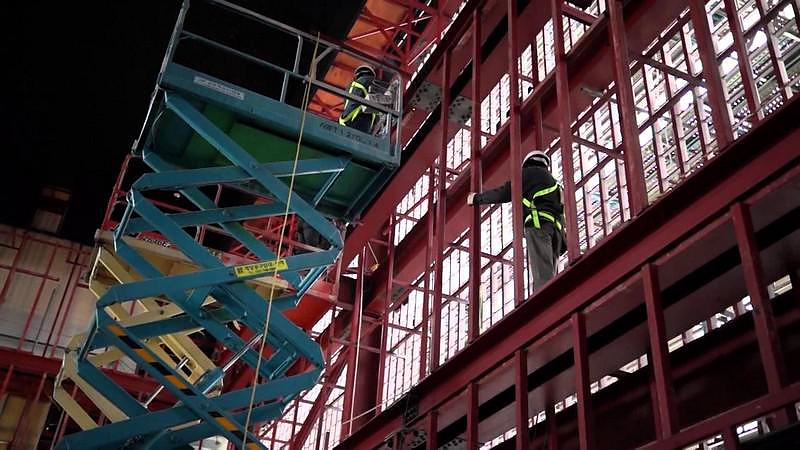 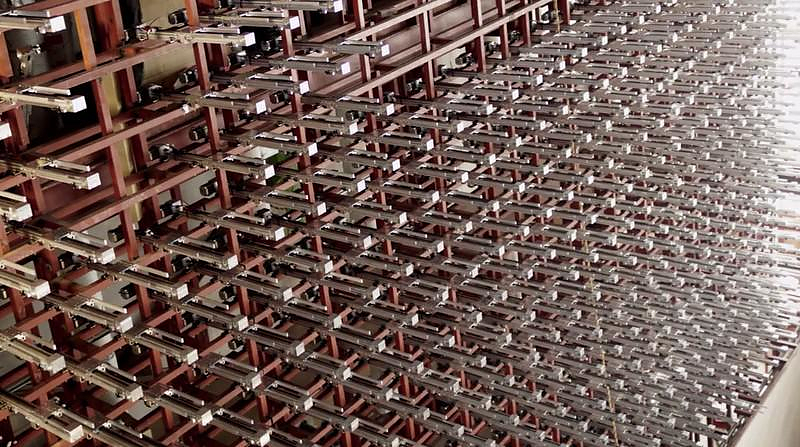 This impressive media art installation consists of a specially made huge steel construction to support thousands of stepper motors that control 320x320mm cubes that project out of the internal facade of the building. 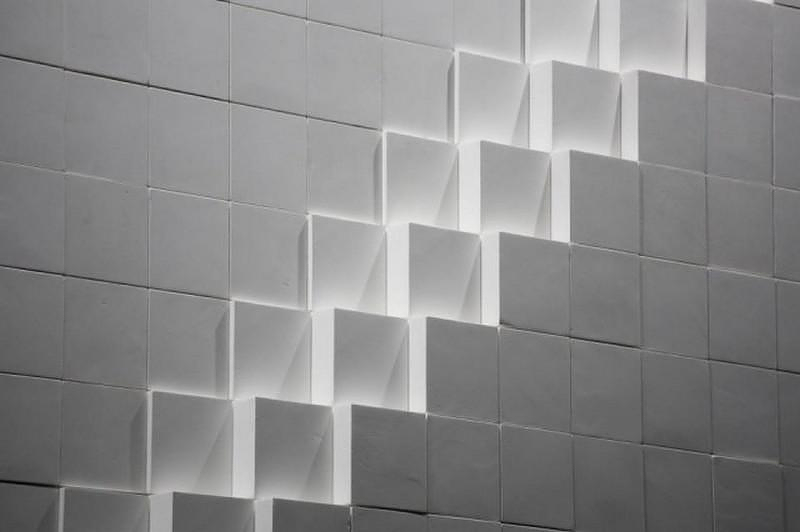 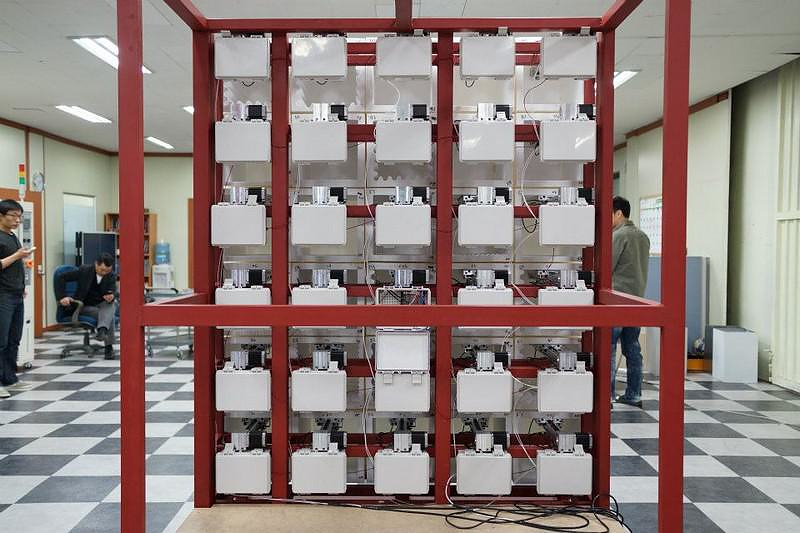 The foam cubes are mounted to actuators that move them forward and back by the steppers, creating patterns across the three-sided display. 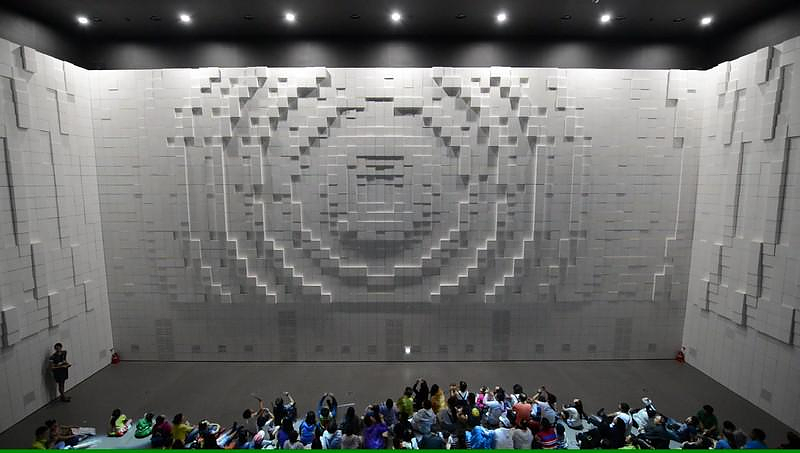 Comprised of what at first appear to be three blank white walls, Hyper-Matrix media art installation quickly comes to life as thousands of individual cubic units forming a field of pixels begin to move, pulsate, and form dynamic images across the room, creating infinite number of possibilities in the vertical, 180 degree, landscape. 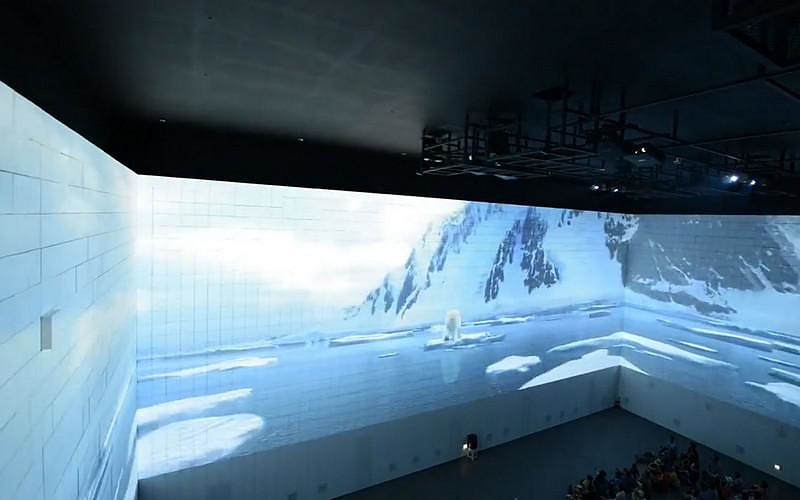 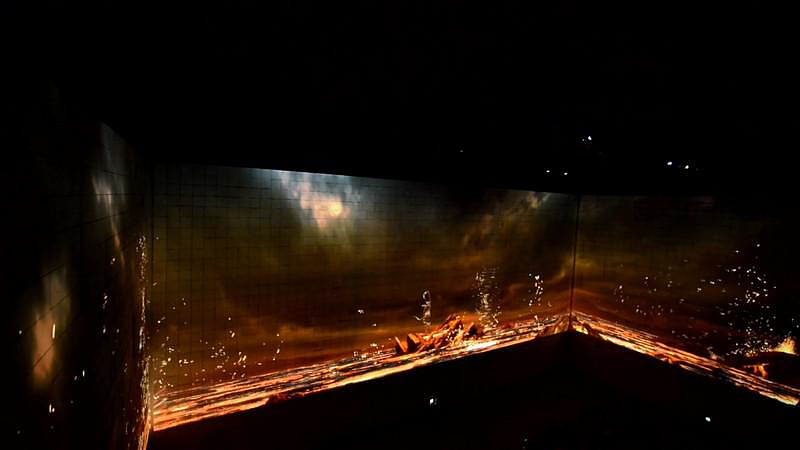 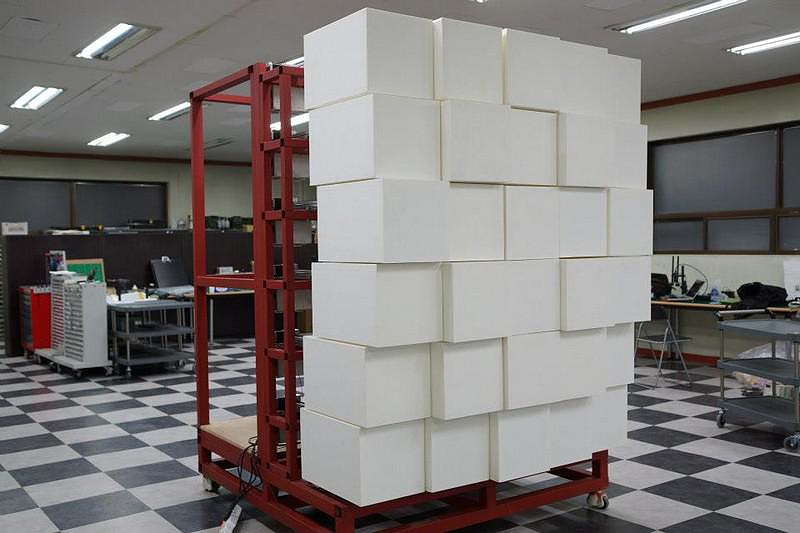 In addition, as the boxes are arranged at only 5mm narrow intervals, the wall can also be a nice moving screen for the images projected on to it. 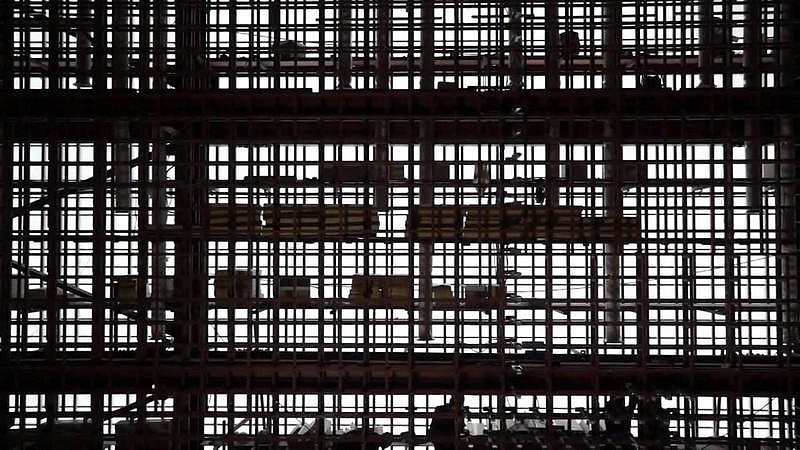 P.I.G.S. 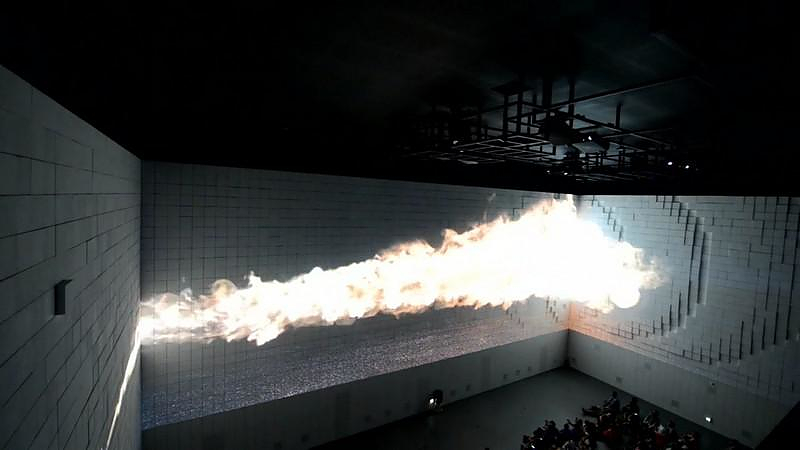 A Burning Art Installation by Claire Fontaine. 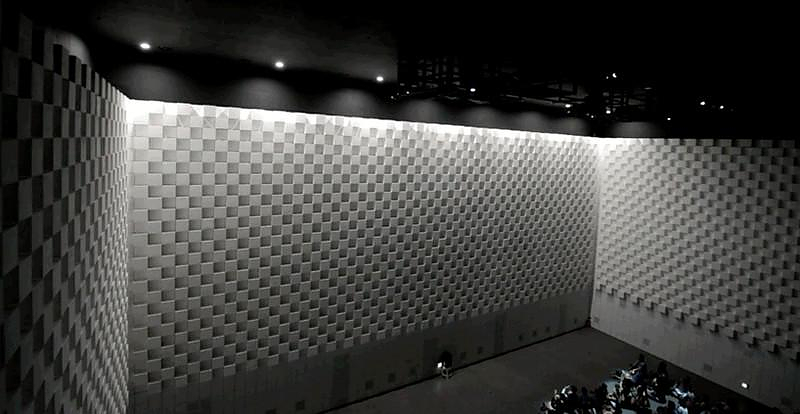 Sectionimal Table by gt2p, welcome to the future.